One of the biggest complaints we hear from hockey players is that they lack explosiveness on the ice and struggle getting to top speeds that they need to be a dominant player. Does this sound familiar? Don't worry you aren't alone. Even the best athletes can struggle with power and explosiveness on the ice. This is when the Next Level Speed 2.0 Hockey Workouts come into play. The 3 phases within the training program will build on each other so that by the end of the third phase you will be the fastest you've ever been and be the player out on the ice that is blowing by players on a regular basis! 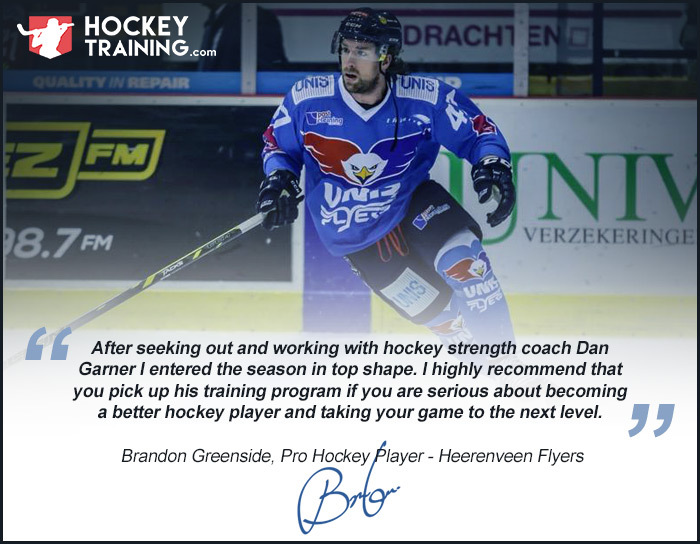 Coach Dan has put together the absolute best hockey speed program out there, that will turn any hockey player into a better player within just weeks! You are getting access to a complete "done for you" Hockey Speed Training Program. 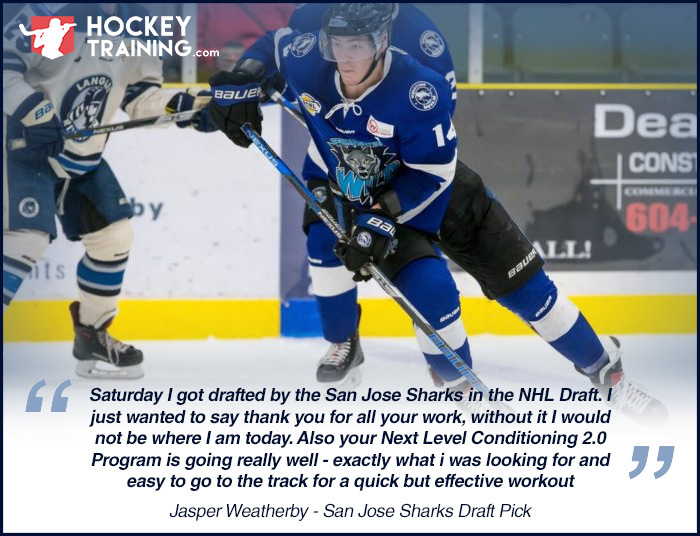 This includes 3 phases of hockey speed training, with each phase building on each other so that by the end of the program you are going to be a completely brand new and improved hockey player. There are four hockey speed guides in the member's area that will teach you how to train speed specifically for hockey and the "why" behind it, so you understand why everything is laid out out like it is in the program. But we've got a few bonuses for you today included with NLS 2.0! Coach Dan has created some great hockey specific speed workouts that will give you a great workout in a limited amount of space! These are some of my favorite hockey speed workouts to do when I can't make it to the gym. Not only is this training great for hockey speed, it can actually get competitive and be a lot of fun! And if you're reading this page I can bet that you want to be one of the best players everytime you step out on the ice, right? But I'm happy to tell you - this isn't true! You could be much faster than you are right now, and I'm going to help you get there! Do you struggle to blow past opponents out on the ice? Do you wish you were more explosive so that you could blow by other players and get yourself more breakaways? What if we could increase your starting speed, acceleration, and top speed on the ice, so you can start dominating every game you play? Speed kills in the game of hockey. Everyone knows that the best players are usually the fastest players. Introducing our "Next Level Speed 2.0" Hockey Training Program! 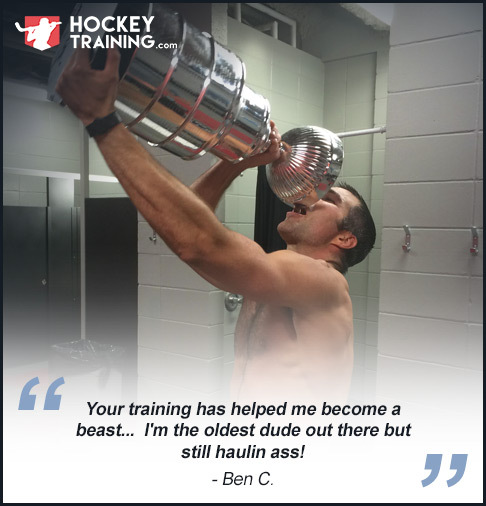 This is a full 3-phase hockey training system that is designed to turn you into a completely new, and blazing fast player. Within the program we will be increasing your starting speed so you can be more explosive, improving your agility and change of direction so you can create more space on the ice, and working on bringing your acceleration to all new level so you can start blowing by opponents, getting more breakaways, and scoring more goals! He has carefully designed this program to get you the best results in the shortest amount of time possible. 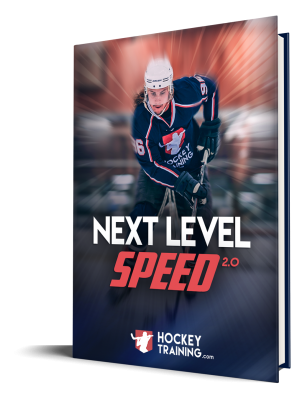 With the Next Level Speed 2.0 program, you are receiving a full 3-phase hockey specific speed program from a high-level coach. The full 3-Phase Next Level Speed 2.0 Hockey Training Program + bonus workouts is just $97! 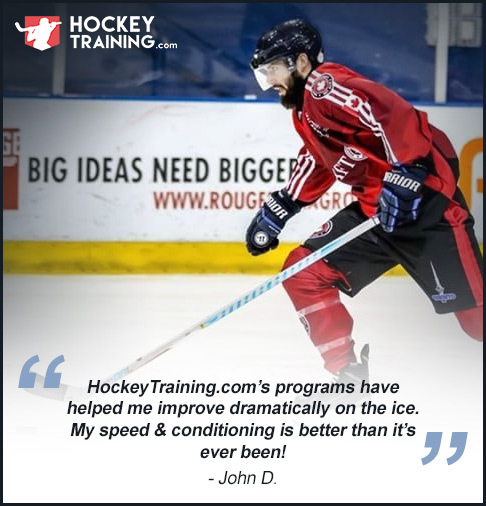 Just click on the green button below to join us now and get started taking your hockey game to the next level with our Next Level Speed 2.0 Program! This is a bonus webinar that we ran privately for hockey players. 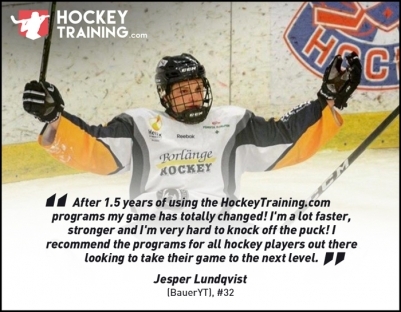 It will teach you more about hockey speed training, and help you train like a hockey player! You will also receive a digital version of our Amazon best selling book in the hockey category - "Hockey Speed". This is a 60+ page book that teaches you all about hockey speed and how to become a faster skater out on the ice. The Hockey Skills Drills program, Speed Webinar and Hockey Speed Guide alone sell for $86, and you're getting all three for FREE, along with the other valuable bonuses listed above! As with all of our hockey training programs, I stand completely behind this Next Level Speed 2.0 Program and I am offering you a 60-day 100% money back guarantee. If you don't notice big improvements in your speed on the ice, or if you don't get teammates or coaches commenting on your increase in speed, or if you don't start burning by opponents on the ice I will refund your money. That is how confident I am that you will absolutely love the program and notice big improvements in speed after just weeks of training. Get Faster In 2 Months Or Your Money Back! A large number of the exercises will require no equipment at all, but with that said, you should have access to some equipment found at a gym. For example, we use a medicine ball pretty regularly throughout the program, and a box for box jumps. If you have only a medicine ball you will be fine to do the program! Once you have signed up you will create a username and sign into the member's area. From there you can access and download all of the program's material. You will be able to view the exercise demo videos from any device you have access to the Internet from. Note: The Next Level Speed 2.0 Hockey Training Program is a completely downloadable series of e-manuals and videos. No physical products will be shipped. After you order, you will get INSTANT ACCESS to download the product guides onto your computer (no waiting or shipping costs). The format for all manuals, workbooks, and checklists, is PDF, which can be viewed on Mac or PC, and even most mobile phones.